The RBC GranFondo Whistler is a stunning journey along the famous Sea to Sky corridor between Vancouver and Whistler. Both locations offer an unrivaled Canadian experience, with fantastic accommodation options, a variety of activities keep you entertained and a whole host of ways to get around. Vancouver is a spectacular cosmopolitan city in a location of unsurpassed natural beauty. It is bordered by incredible mountains, the sparkling ocean and our 1,000 acre jewel, Stanley Park. Vancouver is home to world class restaurants, shopping, attractions, arts and entertainment, incredible pre/post travel opportunities, with a year – round mild climate. Best of all, Vancouver is a clean, green, safe, friendly and walkable city. It’s a must-visit part of an amazing Gran Fondo experience. Visit Granville Island and go shopping at a uniquely Vancouver public market, surrounded by industrial art buildings, improv theatre, patio dining and unparalleled city views. Book 1 night and receive a Free $50 VanPass voucher. Book a stay of 2+ nights and receive a FREE $75 VanPass voucher for use on VancouverAttractions.com with 21 Attractions and Sightseeing options. Book with StayVancouverHotels for this exclusive RBC GranFondo Whistler offer PLUS you will automatically be entered to for a chance to win race registration. Learn more and book now at stayvancouverhotels.com. Located a scenic two hours’ drive (or 122 km cycle!) north of Vancouver in the spectacular Coast Mountains, Whistler is commonly ranked the number one mountain resort in North America. With family-fun, world-class dining and a vibrant pedestrian-only Village, Whistler offers a unique and memorable year-round mountain experience. Celebrate your GranFondo victory and stay a few days – you can make it as laid-back or action-packed as you like! Saturday – Ride the scenic Sea-to-Sky highway then revel in your victory with a classic Whistler après session! In the evening, discover Vallea Lumina, an immersive multimedia night walk in pursuit of hidden wonders. Sunday – Prepare for inspiring alpine experiences and 360 degree coastal mountain views! 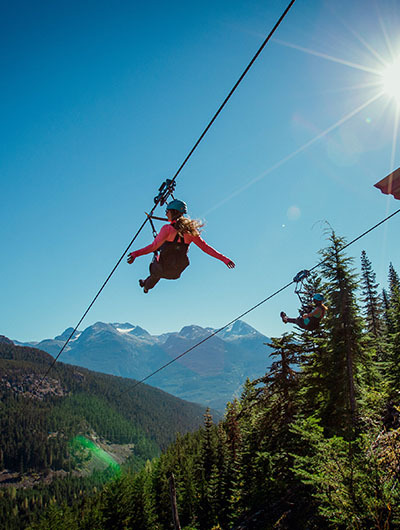 Check out the thrilling Cloudraker Skybridge, Raven’s Eye Cliff Walk and Peak 2 Peak Gondola at the top of Whistler and Blackcomb mountains. All are accessible with a summer sightseeing ticket. Add in an alpine hike if you’re feeling extra inspired! Tuesday – Hike to one of Whistler’s most unique spots, the Train Wreck – an easy 1-hour round-trip walk offering views of the Cheakamus River and surrounding forest area. You’ll soon arrive at the site of the wreck – a handful of mangled railway boxcars bought to life by public graffiti art. Saturday – Ride the scenic Sea-to-Sky highway then immerse yourself in Whistler’s foodie scene at an award-winning restaurant. Sunday – Enter into deep relaxation with a hydrotherapy spa experience at the Scandinave Spa or body treatment at one of Whistler’s many spas. In the evening, attend a First Nations Feast & Performance, hosted by the Squamish Lil’wat Cultural Centre on Sunday and Tuesday evenings throughout summer. Through storytelling, music and dance, share in the rich traditions of First Nations while feasting on an indigenous-inspired menu. Monday – Discover Whistler’s newest cultural hot spot, the Audain Art Museum. The award-winning building houses a permanent collection of artworks from British Columbia, and hosts exhibitions from leading museums around the world. 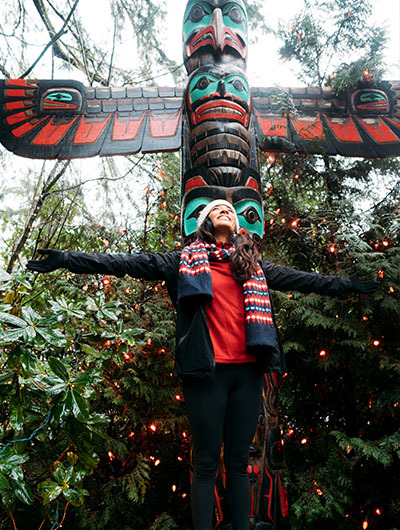 Then continue along Whistler’s Cultural Connector path to visit Whistler’s remaining cultural hotspots and public art pieces. Tuesday – Drop by Forged Axe Throwing for a cultural experience of a different kind. Think of a game of darts, but with axes! It’s beginner friendly and the team there will have you hitting the bulls-eye in no time! Then drop by Coast Mountain Brewing or Whistler Brewery for a craft brew. For the best selection of accommodation and greatest deals on activities in Whistler visit Whistler.com. 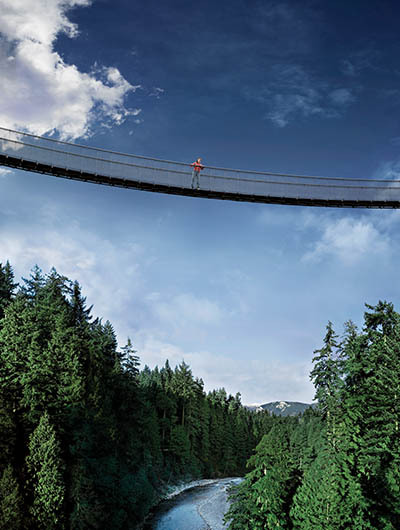 Fly direct to Vancouver’s world class YVR Airport with Air Canada. RBC GranFondo Whistler is pleased to offer 10% off eligible flights during event time. Use code GWGZ7JK1 when searching. Valid on one-way & return flights into YVR Airport (Vancouver) between Thursday, August 29, 2019 and Thursday, September 19, 2019. Air Canada is Canada’s largest domestic and international airline serving more than 200 airports on six continents. Their fleet of more than 390 aircraft is one of the youngest, most fuel efficient and environmentally friendly in the world. Book your flights direct now via AirCanada.com. During the event, we offer a comprehensive program of transportation options to get you and your bike to and from the Friday VeloSpoke Bike Expo and back from the finish on Saturday. Simply browse the options available on our Event Transport page and book early to avoid missing out on your preferred choice. Please note, some popular options will sell out.